Ms. Sweat is writing about the inland areas of the Florida Panhandle. Please read the above plea for help from ~2pm via Twitter. 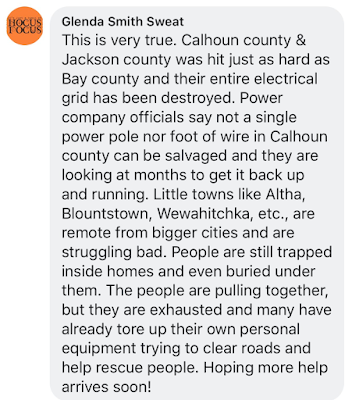 Hurricane Michael caused massive destruction that was, at first, underestimated by some. Even though we donated to the Salvation Army's hurricane relief fund earlier this month, Kathleen and I just made another donation. Florence and Michael were monsters. If you are safe in your home enjoying football you are very blessed at the moment. 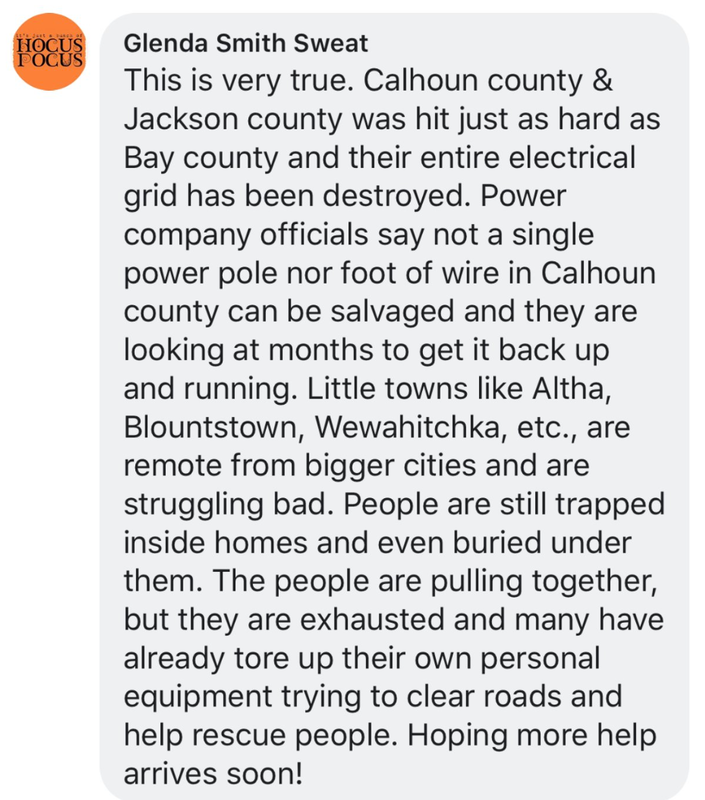 So, please help the people who are struggling for survival from Hurricane Michael. To donate, please click here.